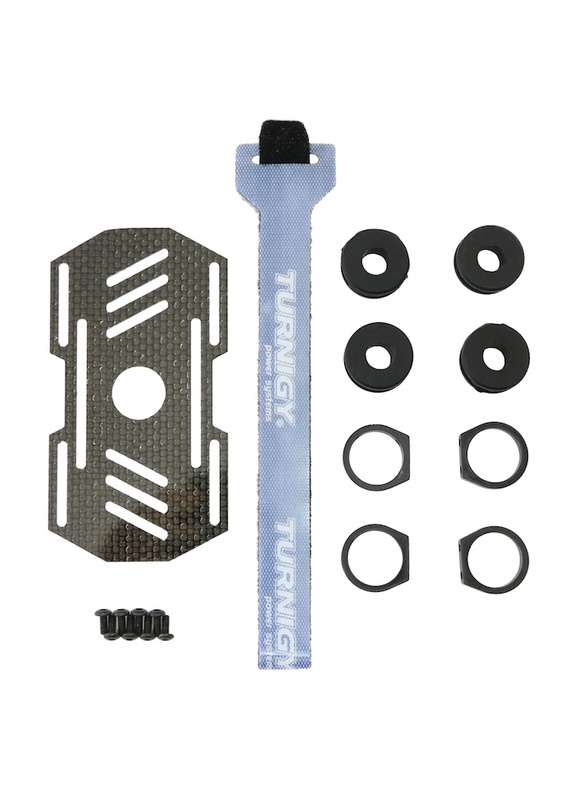 This light weight, carbon fibre battery mount is designed to securely carry a 3-4s LiPo battery. It comes complete as a kit with 10mm shock absorbing tube clamps and a high quality Turnigy 330mm velcro battery strap. It's an excellent match for our carbon fibre crab landing gear, especially if you are using a brushless gimbal as it can carry a battery to power it and slide back and forth to get the correct centre of gravity. Will this fit a zenmuse h4-3d? Looking to custom mount a DJI zenmuse h4-3d to my quad and would like to know if this will fit? The hole in the middle, could you please advise the cicumference and also the spacing of the long velcro cutouts that i would use for the scwres to mount the H4. Hole diameter 15mm. Spacing of long slots ~34mm.